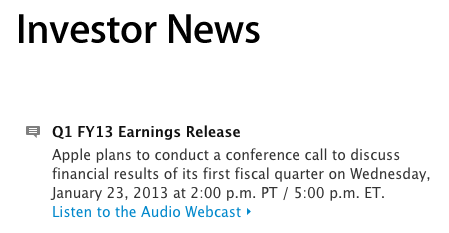 Apple is set to announce their Q1 2013 fiscal earnings on Wednesday, January 23rd. The quarter should reveal a record number of phone sold, as the roll out of the iPhone 5 continues to be one of the most aggressive we’ve seen. In mid-December Apple launched the iPhone 5 in 33 more countries including China, where weekend sales topped 2 million. 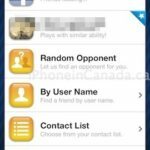 Over 50 countries have access to the iPhone 5, with initial launch countries selling over 5 million units in the first weekend. Apple sold 26.9 million iPhones and 14 million iPads in Q4 2012, alongside $36 billion. Projected revenue for the Q1 2013 quarter is $52 billion, as noted by Apple’s CFO Peter Oppenheimer, during the previous earnings call. With the launch of the iPad mini and other product refreshes, expect this to be one of Apple’s biggest holiday quarters.